Fortnite’s X-4 Stormwing will cause more explosive damage after patch v7.10, which has been delayed. Fixed some performance issues with the Stormwing which could lead to reduced frame rate and movement corrections. In another Reddit post, community manager Sean Hamilton seems to indicate that the patch is no longer dropping tomorrow, but he has said that vehicle health bars will be added to the UI. 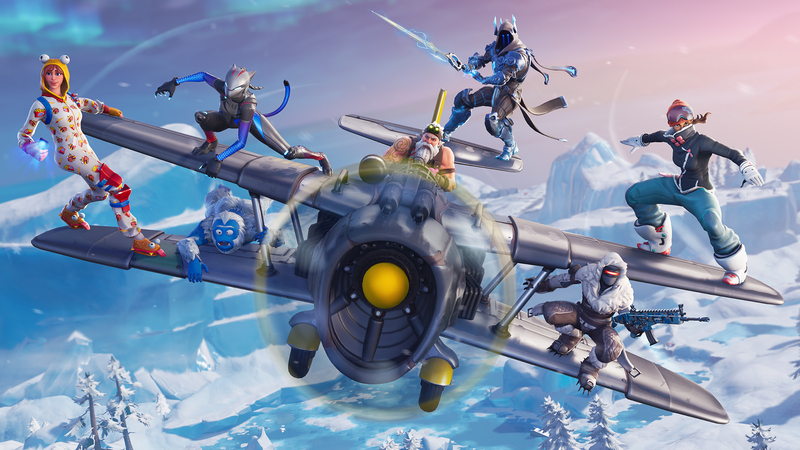 Season 7 of Fortnite saw the introduction of the new Stormwing planes, as well as a bunch of other seasonal changes to the map. However, players weren’t too happy with the damage the planes meted out to its passengers when shot down from the sky, so Epic is bumping it up in tomorrow’s patch v7.10. The X-4 Stormwing’s explosive damage was set at 25, but community manager Sean Hamilton has confirmed that this is going to be doubled in the update. While this sounds like the patch is still coming tomorrow, just not at the scheduled time of 2AM PT/ 5AM ET/ 10AM GMT, we’ll know more when either Hamilon or Epic clarify with further details.